Oil and Gas refining is a complex process whereby hydrocarbons are broken down into simpler hydrocarbon molecules, by breaking of carbon-carbon bonds. In order to break the carbon – carbon bond, energy in the form of temperature and in the presence of catalysts controls the reaction rate within the hydrocracking process. The operating temperature within these gas fired hydrocracking units is extreme. The red hot operating temperatures produces high temperature oxide scale on the fire side of the steel furnace tubes. Regular cleaning of the oxide scale layer is a common practice to reduce the insulative effects of the oxide growth. FMP Coatings’ turnaround services group provides just that, removal of heavy scale build up in process furnaces. Once the scale is removed impressive efficiency gains are realized. The addition of FMP’s Blackstone ceramic coating goes one step further and reduces the future effects of oxide growth by slowing down the diffusion mechanism, keeping the process tube surface cleaner, longer. Resulting in even further efficiency gains for a period of 8 to10 years. 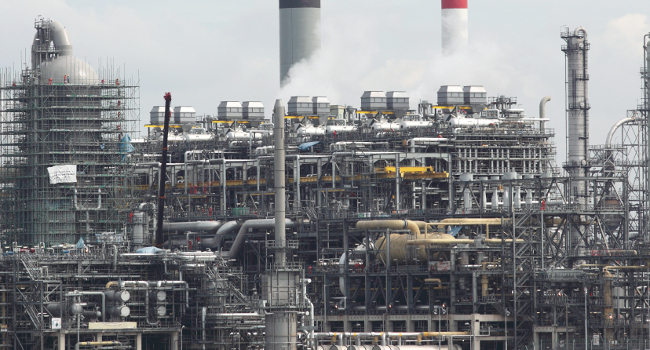 Our technology offering and realized gains within these refinery plants doesn’t stop there. 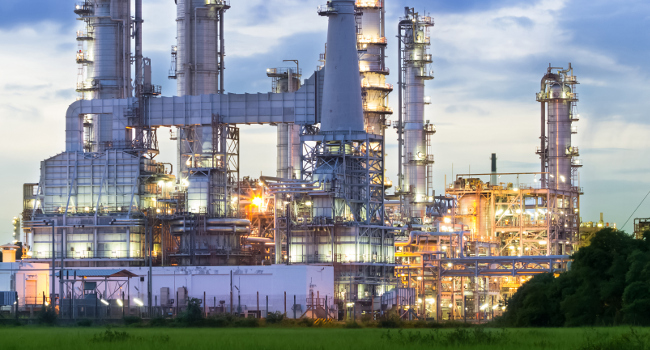 Outside the furnace, where extreme service environments exist such as high temperature and corrosive chemical storage areas, FMP offers its newest line of innovative ceramic modified epoxy coatings for the oil and gas downstream market. Our line up of liquid applied ceramic modified epoxy coatings are designed to offer rapid return to service and the ultimate in high performance protection of storage, knock out tanks, secondary containment and pipelines.